BTS has become one of the most influential pop stars from South Korea. While the group is no stranger to topping the charts and selling out concert tickets, it’s worth looking back on how far the seven boys have come over the years since they debuted in 2013. 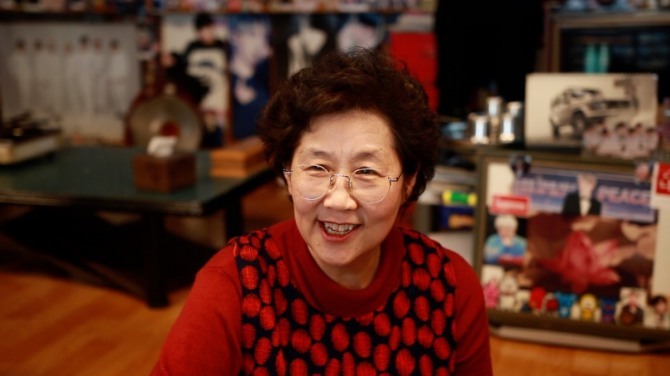 Kpop idols have to work hard as trainees and BTS also put in their “blood and sweat,” according to Kang sun-ja, 67, the owner of Yoojung Sikdang, where she says BTS members used to eat almost every day for two years at the same table when they were trainees. The restaurant speaks for itself as it’s decorated with posters and stickers all over. We were lucky enough to speak to Kang, who is one of the few people that saw the bandmates closely during the early stages of their career. And here is what she had to say about the boys. 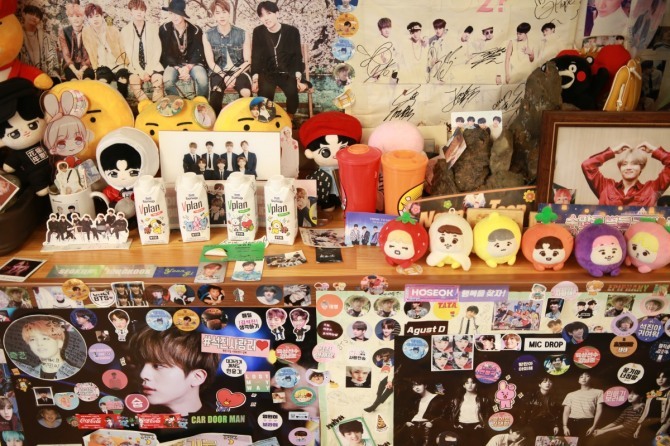 Kpop Herald: We heard BTS members came to this restaurant every day as trainees. Tell me about your memories during that time? Kang: “The boys were very bright, respectful, friendly and well-mannered. They are just well-rounded. Not many people their age are like that. Every time we met they greeted and I thought there is something different about them. “Their success is not just pure luck but thanks to their effort. They really put their blood and sweat into their work. At times I felt like their parents would feel for their children if they saw them. When they practiced so hard, they would come upstairs from the studio in the basement with their T-shirts and hair all covered in sweat. They would practice every day from the morning to 10 p.m., sometimes they would just practice the night away. They worked that hard. KH: If they came here every day, the food must be good. Did they eat the same dish? Kang: They did eat the same stuff a lot. They rotated between the dishes. 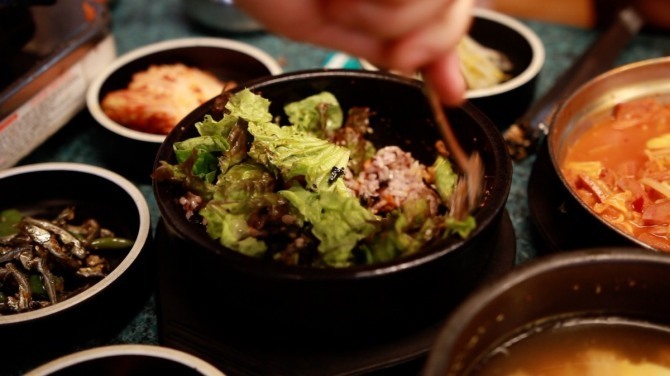 They liked the bibimbap best, which comes with rice mixed with pork. That became the “Bangtan Bibimbap” later. For about 2 1/2 years, they came to eat here. At first, they ate two to three bowls of rice before their company put them on a diet. Yoon-gi used to eat chicken breast, milk and banana all blended (into a shake). Sometimes I would feed them their favorite food secretly, and I remember telling them that they have to eat well to work. And that they won’t gain weight because they move about a lot. KH: Who had the most charm? Kang: Though everyone had their own charm, I’d say Jimin. KH: Did they ever ask you for advice? Kang: “Sometimes they would talk. I’m sure they had their fair share of struggles but they always managed to talk it out between themselves, never arguing. Nam-joon would never put his phone down when eating to get better -- studying other performers -- and I thought to myself that he had the potential to be a leader, which became true. KH: Do you still follow BTS? Kang: “I do. ARMYs send me stuff, especially when the group holds a concert. ARMYs are good people. I think just like BTS are, their fans are kind also. From those in their teens to 80s, people from all age groups tell me they get energy from BTS’ music. You talk to people who come to the restaurant often. “Some fans were having a hard time with their marriage. They said that each lyric of BTS’ songs touched their heart through and through, which made them realize that something was wrong (in their life). And from there quite a few told me they were able to start afresh and begin a new life. KH: Do you listen to BTS? On the day they debuted, they came here to eat and take pictures, which has been covered in the media. I’m just thankful that our restaurant became known because of them. I’m just a restaurant owner. I don’t know if it’s because they are thankful or not but they must have told people about us since we get many ARMYs. Most customers here after lunch are ARMYs. KH: When was the last time you saw them? Kang“I haven’t seen them since sometime around July two years go (2017) when Seok-jin came alone. I miss them. They will always have a place in my heart. I wonder if they are doing okay, eating well while abroad. I want them to visit again. Really, I do. Any time. I really miss them and want to do something for them. “I didn’t tell them I loved them and instead I used to say stay healthy and eat well. If I saw them now I’d tell them I love them. I remember Yoon-gi saying that when their office moved, fans would then come to the restaurant instead. I think they want to come but it must be not easy to do. “You know, I didn’t really do much. I’m just a dinner lady who just did my best cooking for them who were living far away from their parents. I did my job almost as a parent since I have my own children.